Our snowball designs are 'snow' adorable! They stitch up fast and make a fun gift. 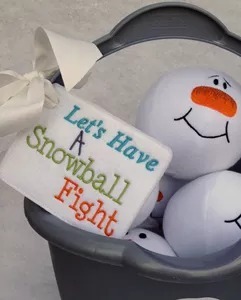 Let them have an indoor snowball fight with our softie Snowman Snowballs! 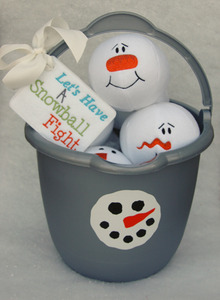 A bucket is used to store the snowballs and you can use it for a snowball toss game too. 3 different snowman faces are included. The tag is made 'in the hoop'. Antler files are also included to make this bonus Reindeer Snowball. 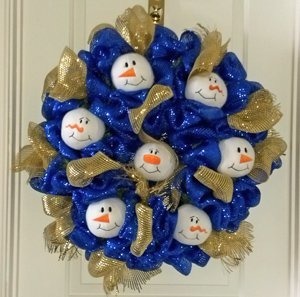 One of our customers used the snowballs to make this adorable wreath!